gather material for his new book. jumbo hides a very real spiritual talent. 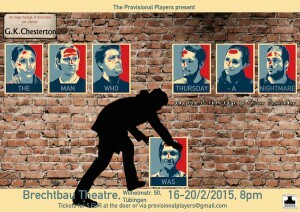 in this latest production of the Provisional Players. An expedition to the North Pole. They pick up a man. Unconscious, on a piece of floating ice. A man that seems eerily familiar. 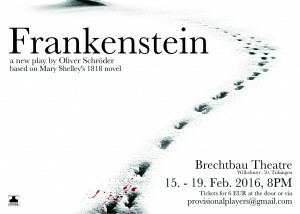 Come and see the Provisional Players’ retelling of Mary Shelley’s classic story..
“We’re going to band together and fight for what’s ours. our duty to stomp the living daylights out of it! A cowardly murdered king, who is now a ghost longing for revenge. A madman on the throne who loves to burn down houses and trees – controlled by his evil wife with a particular liking of gruesome torture. The true heir to the throne who grows up in a company of travelling actors, unaware of his identity and unlikely to ever return and manifest his destiny. Deeply involved in all this: the three witches of Lancre – the respectable Granny Weatherwax, the matriarchal Nanny Ogg, and the junior witch Magrat Garlick. 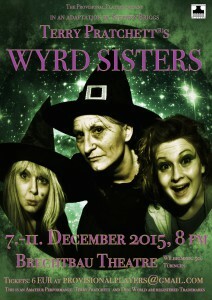 In his fantasy classic “Wyrd Sisters”, Terry Pratchett® pays homage to the world of theatre in general and to the plays of William Shakespeare in particular. Fools and kings, witches and wizards, ghosts and lost heirs, dwarves and demons and even Death himself take centre stage to unfold a both hilarious and dramatic story, filled to the brim with wit, good laughs, and magic. 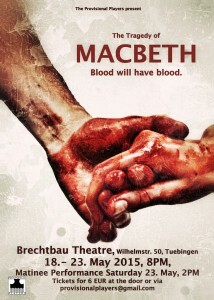 Perennially popular, Shakespeare’s tragedy recounts the bloody rise to power and eventual downfall of its protagonist. A war hero, the great general Macbeth is admired by his soldiers, his peers and even his king. 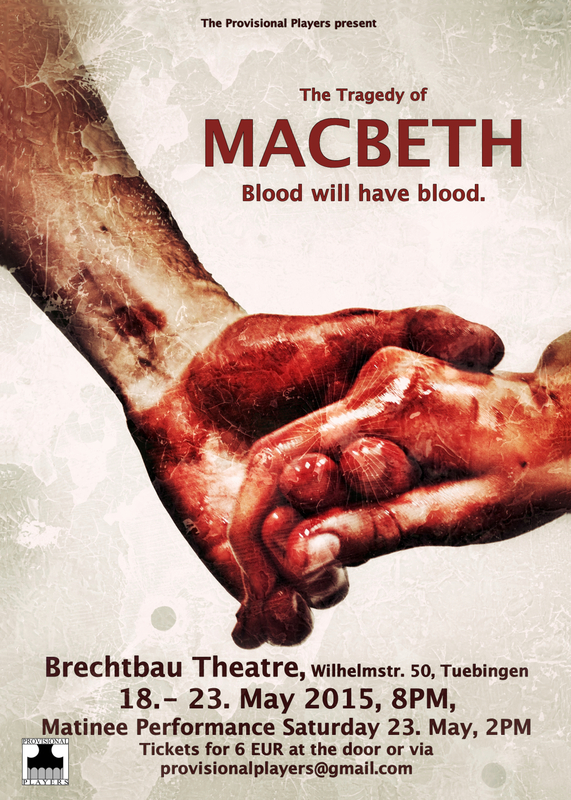 Goaded on by the sinister witches of the Scottish heathlands and his ambitious wife, but most of all by his own unyielding ambition, Macbeth attains the throne of Scotland through deceit, treachery and murder to become a tyrant plagued by guilt and paranoia. The play contains some of Shakespeare’s most powerful poetry and remains an engrossing – and still regrettably topical – study on how a basically decent man becomes a ruthless dictator. 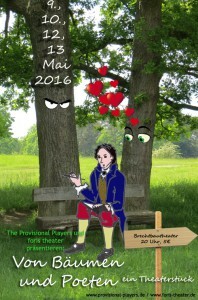 The Provisional Players presents seven performances of Shakespeare’s masterpiece at the Brechtbau Theatre (Wilhelmsstr. 50, Tübingen). 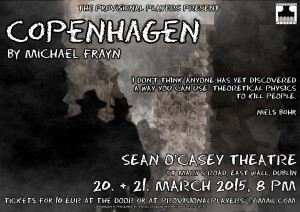 Wednesday May 20, Thursday May 21 and Friday May 22 at 8pm. 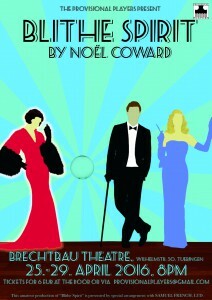 Saturday May 23 at 2pm and 8pm. 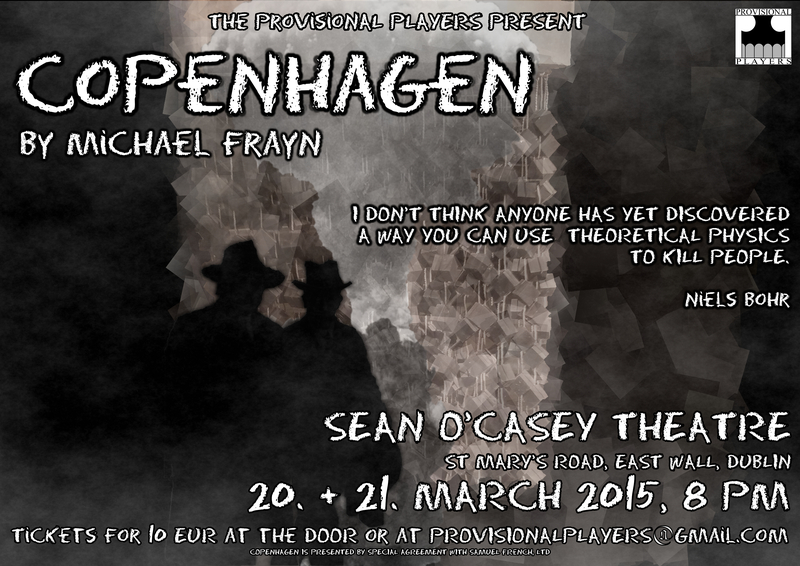 The Provisional Players are going to Dublin again, and again to the Sean O’Casey Theatre – a great location and lovely hosts. Featuring life music by “Call me Heike“! 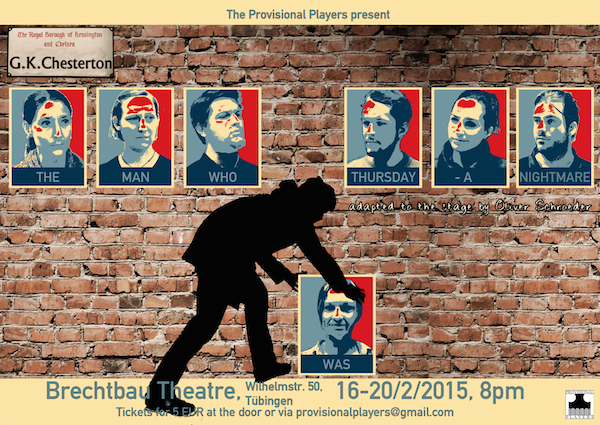 Experience G. K Chesterton’s masterpiece “The Man Who Was Thursday” in a brand new stage adaptation! Follow Syme into the nightmare where the Central Anarchist Council tries to overthrow the governments of Europe, and only Syme can stop this conspiracy. See Syme on the run from the anarchists’ hordes, fighting tooth and nail to survive and uncover the secret identities of the Council of Days.Who is friend, who is foe? Should Anarchists really have a Central Council? And who is the mysterious Sunday?Part metaphysical thriller, part Kafkaesque comedy, “The Man Who Was Thursday” explores a world where nothing is what it seems to be, and a nightmare is something you might never wake up from. 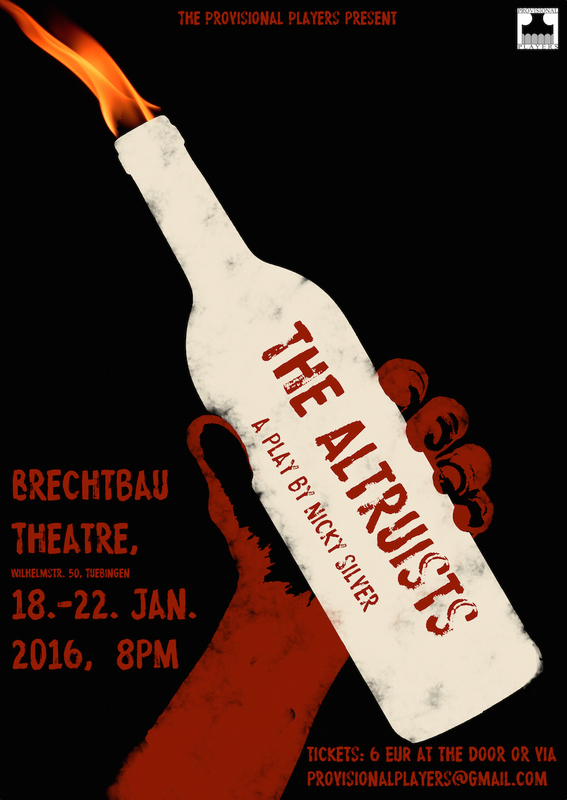 in the Brechtbau Theatre (Wilhelmstr. 50, Tuebingen).